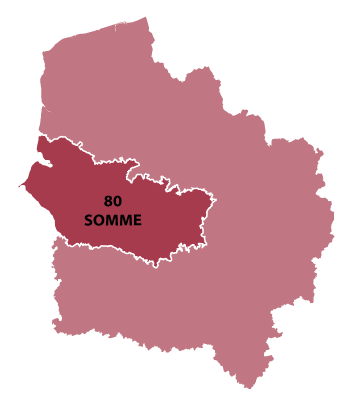 Amiens is in the Hauts-de-France region. On the river banks of the river Somme and is halfway between Paris and Calais. the town is home to one of the worlds most impressive cathedrals and the largest Gothic in France, built in 1152 and then destroyed by lightning, rebuilding began in 1220 and lasted 25 years. 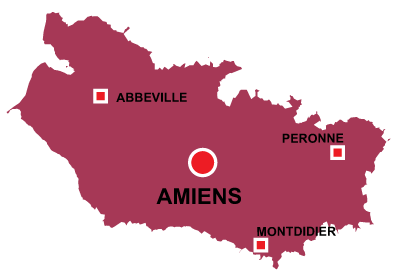 Amiens is listed with UNESCO. The tomb of Jules Verne is in the Madeleine cemetery. 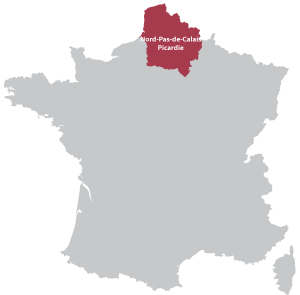 Excellent local web site with much tourisme information; restaurants; hotels; monuments and visits. Yo can also send a postcard.